Will you be visiting us at The Creative Craft Show next month? All of us at Luggie are proud to announce that we are going to be at The Creative Craft Show next month! We're going to have a stall set up in the NEC Birmingham from the 1st till the 4th of November. Our Luggie team are all very excited about being able to chat, interact and demonstrate our lightweight mobility scooters to you all! Our presence there means that you can try out our range of scooters without having to book in for a free, no obligation home demonstration. It also means that you can speak to a member of our team face to face, and pick their brains about anything Luggie related! Not only that, we will also be offering exclusive offers for any and all customers who visit us at The Creative Craft Show! To be a part of the show, receive your Luggie demonstration and exclusive offers, you need to make sure you've purchased your show tickets! They are available HERE or on the official NEC website. There is also a whole host of other information available on the website. That includes opening times, pre-paying for your parking spot, food and drinks and also which hotels they recommend if you are coming from afar to visit us! We hope that you're able to take the time out of your busy lives to come and visit us at The Creative Craft Show! 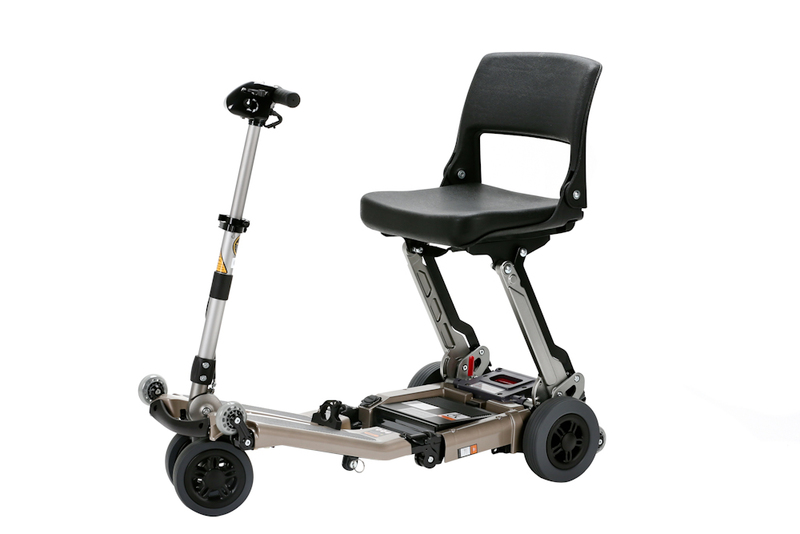 If you're not able to but you would like some more information on which Luggie lightweight, portable mobility scooter would be best for you, then get in touch with a member of our friendly team today! We offer home visits which allow you to spend some one on one time with our expert demonstrators and they can talk you through our scooters. There is no obligation for you to sign up for a Luggie until you are 100% sure that it's right for you!